Africa is a continent bounded in a remarkable fusion of glowing cultures, spectacular architecture and exotic natural wonders no traveller should ever dare to miss. But with all the stereotypes that come along with the name, it’s easy to back down and get yanked on hesitations. Practically, most people miss out the fun and beauty gushing out from the continent’s remarkable destinations because of misleading labels and uninformed tips. Exploring Africa is way more advantageous and adventurous when you’re equipped with the necessary details essential for your travel. After all, safety always comes first when travelling. Anywhere you are in the globe; your security should be the utmost priority. Because at any rate, what good is a trip when your wellbeing is at stake? It’s time to break away from judgments and embrace the splendor that Africa offers. By staying informed, your level of fun would be as equivalent as your level of safety. Keep your travel safe without losing the fun and excitement — the magnificence of Africa is just one visit away, waiting to be discovered. If you’re unsure where to go, this list might be of some light to your inquiries. These are some of the safest African travel destinations. So in case you’re travelling alone or in a group, you know you’re always guarded. In general, Tanzania is a secure country that ceaselessly lures visitors with its exotic wildlife and exceptional landscapes. Being a solo traveller in this country guarantees you a safe haven of limitless explorations. Whether you’re a male or a female, worrying about your protection isn’t a lump to your plans as the country has the friendliest local and features a favorably pleasing hospitality. Considered as “The soul of Africa”, there’s tons of stimulating activities you can engage yourself in here. Bless your eyes with the unspoiled wildlife of Tanzania by setting on a wildlife or balloon safari. Take a visit to the country’s outstanding world heritage sites, mountains and highlands, natural parks, forest reserves, lakes, islands, beaches and other historical sites. 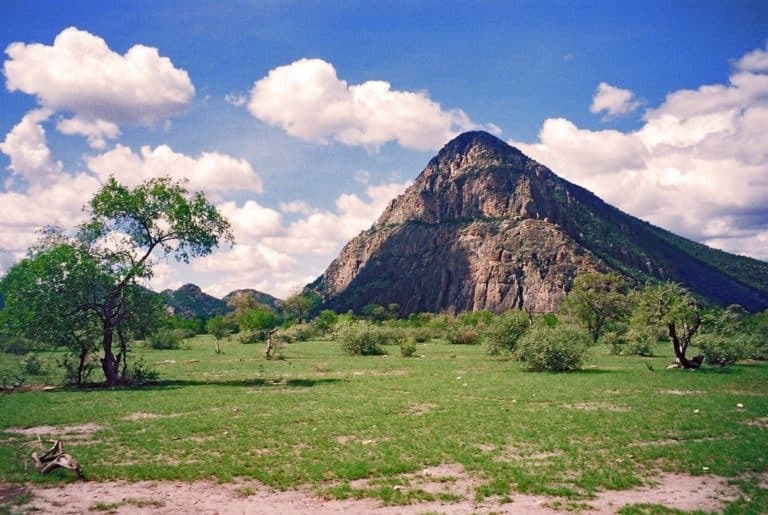 Kitulo National Park, Ngorongoro Conservation Area Authority, Gombe National Park are few destinations of what seems to be an extensive paradise found in Tanzania. The vibrant lush of colors and stunning architecture present in Morocco is one reason why travellers flock around in this effervescent country. When you hear the name “Morocco”, the first thing that tags along your mind would be the appealing colors that flourish in the country’s cities. It’s no secret among travellers how splendid the country looks during springtime. Morocco’s scenic landscapes have a way in leaving visitors come back for more. If you enjoy trekking, Toukbal Massif as well as Jebel Saghro are the most ideal places to release your passion. Heighten your adventure with the enthralling natural beauty of the Atlas Mountains, Ouzoud Falls, Todgha George and Jemaa el-Fanaa. While you’re enjoying the pleasure of travelling here, your safety is ensured to be at the top priority. South Africa remains as the top destination for travellers who want to experience pleasure and security. Cape Town is tagged as the most well-known and well-visited place that abounds in cultural diversity, picture-perfect landscapes, and outstanding and sumptuous cuisines. Included in UNESCO world heritage sites, Drakensberg is a paradisiacal mountain range ideal for your outdoor activities where you can hike, ride a horse and take part on other exciting outdoor options. And although Johannesberg is known to experience tensions every once in a while, this doesn’t erase the fact that South Africa is one of the safest and thrilling destinations you can choose. In Kruger National Park, you can witness the breathtaking exquisiteness of the wildlife flourishing in the country. Occasionally, most people would think Ethiopia as a risky place for travellers to visit. Much to your surprise, this country is remarkably safer than most countries in the continent. It has defied all expectations and continuous to grow as a booming nation that is copious in natural gems and fast-striking buildings. Quite a lot of travellers have held positive remarks on the country’s welcoming ambiance. It’s widely appreciated not only for its favorable security but also for its captivating natural wonders. Apparently, not all people are aware of the beauty the country holds. If you want to start exploring the country, it’s great to head on to the breathtakingly splendid Simien Mountains. Or you can refresh your eyes with the enchanting lure of the Blue Nile Falls or be taken away in the Giant Lobelia Forest or the eerily entrancing Labilela. The stigma about Zimbabwe being a dangerous place isn’t likely the case once you’re on the midst of your travel in the country. Akin to other countries in Africa, the country would be mistaken as a totally perilous place. Of course, it’s given that any disturbances can’t be avoided on few occasions, as of all countries in the world, but Zimbabwe offers not a place of risk but a wholesome adventure of fascinating sceneries and abundantly exotic wildlife. Inside Hwange National Park, you can witness several troops of animals wandering around and get a close encounter with nature’s very own touch. Zimbabwe is likewise not just a destination ideal for wildlife reserves and appreciation, but it also stands out in the adventurous hype of outdoor activities you can engage in. If you’re bold enough, you can swim around the famous Devil’s Pool or enjoy rafting in Zambezi or go Micro-lite flying around the spectacular Vitoria Falls. If you’re searching for an ultimate destination that would cater all of your travel needs, Botswana is the real thing. Of all countries in the African continent, Botswana is considered as the safest destination there is. It’s modern, traveller-friendly, wildlife and nature-gifted, forward thinking — and on top of that, it’s safe. Crime is a rare case in the country, which is one good factor why tourists tirelessly come and visit the country. Tourism plays a major part in Botswana’s economy, so it’s expected for visitors to enjoy a safe and best embrace towards their travel agendas. Okavango Delta, Moremi Game Reserve, Chobe National Park, Tsodilo are just some of the best sights you can enjoy in Botswana.